A free initial consultation and financial analysis. If we don’t think your venture will be profitable, we will tell you so you don't waste your money developing a plan. Working closely with you to fully understand your dream, vision, business and requirements. Conducting comprehensive and detailed market analysis and research (if necessary). Preparing detailed and integrated 5 to 10-year financial projections that include revenues, expenses, income statements, capital assets, personnel costs, balance sheets, monthly cash flows and sensitivity analyses (to assess the risk of your venture). Developing a basic marketing plan including corporate image, marketing strategies, target audience identification and advertising. Identifying and defining your management and staffing requirements, including job descriptions. Briefing you on all aspects of the plan, so that it is your plan, and you can confidently present it to financial institutions, potential investors and partners. Helping you find appropriate sources of funding from financial institutions, investors and government programs. Working with you during the process of seeking funding, e.g., revising the business plan, doing more research, etc. An Investment Proposal is a type of business plan, but is designed specifically to meet the information needs of potential investors. It typically is shorter and focuses on those management, marketing and financial aspects of the company that would make it an attractive investment. If your business opportunity is a good candidate for venture capital or equity investment (many are not), then we can assist you prepare an Investment Proposal. We at Steppingstones have helped to develop business plans for colleges, government departments and agricultural associations. These plans have somewhat different requirements than for profit-oriented companies. 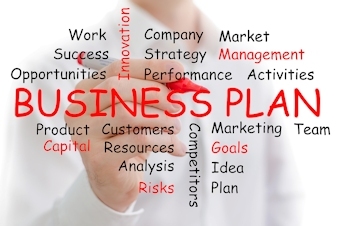 Although their major purpose is not raising financing (although for associations business plans are useful in applying for grants), a well-developed business plan can increase organization effectiveness. It can be a very important communications tool for both internal and external stakeholders. For more information, or to discuss your needs regarding a business plan or investment proposal, please contact us.